RSVP to PhilaQW@Outlook.com In text body, please provide the name, phone number, email, and membership/affiliation status for each attendee. Price Momentum is a widely utilized factor in many investment portfolios, yet compared to other factors like value and quality, it has a sort of a stigma around it within some academic circles. As evidence of momentum’s prevailing importance, we provide fresh and strong evidence of momentum strategy returns on the previously untested data, back to 1800 in the U.S. Stocks, Country Sectors, Equity, Fixed Income and Currency markets, and Commodity futures. Importantly, the extended history allows us to observe important features behind momentum crashes that are critical to consider in practice. 7:30 – 8:15 “Quantitative Investing from Indexing to Factor Funds” – Christine Franquin, Principal and Senior Portfolio Manager in Vanguard Equity Index Group and Liqian Ren, Portfolio Manager at Vanguard’ Quantitative Equity Group – A research presentation on the evolution of different approaches to quantitative investing through the years. or bring Check (checks made out to Villanova) or Cash to the door on the night of the event after you RSVP. Mikhail Samonov is currently a Senior Portfolio Manager at Forefront Analytics, an institutional asset management and consulting firm in the Philadelphia area. Mikhail is a member of the firm’s management committee and is responsible for managing multi-asset and alternative portfolios as well as ESG and Impact strategies. In addition, Mikhail manages a team of researchers developing quantitative, factor-based, investment strategies. Mikhail is also a Teaching Associate at the Wharton Business School for the Investments and Impact Investing classes taught by Professor Chris Geczy. Mikhail is actively involved in academic research on factor-based investing as well as impact investing and behavioral finance, including the recently published paper in the Financial Analysts Journal “Two Centuries of Price Return Momentum” co-authored with Chris Geczy. Prior to Forefront, Mikhail founded the firm Octoquant, working with hedge funds on enhancing investment research process by identifying unique and return-predictive data for stock-selection models. Prior to that, Mikhail was the Executive Director of CBID, a Hong-Kong based boutique research startup by Richard Li. Previously, he was a Vice President and Portfolio Manager in Structured Equities at PineBridge Investments in New York City, where he managed nearly $5 billion across several quantitative equity funds, including $1 billion in a Socially Responsible fund. Mikhail is an honors graduate of Brown University with a B.S. in Applied Mathematics and Economics, and has received his MBA from the Wharton School at the University of Pennsylvania. Mikhail is also a CFA Charterholder. Christine Franquin is a principal and senior portfolio manager in Vanguard Equity Index Group. She manages several equity and balanced funds, including funds for U.S. and international investors as well as indexed separate accounts. Before joining Vanguard in 2000, Ms. Franquin was an attorney at De Bandt, Van Hecke & Lagae (now Linklaters) in Belgium. She earned a B.A. from the Universitaire Faculteiten Sint-Ignatius Antwerpen in Belgium, an M.S. in finance from Clark University, and a law degree from the University of Liège in Belgium. She was the head of Vanguard’s European investment team from 2003 to 2011 when she relocated to Vanguard headquarters in Malvern, Pennsylvania. 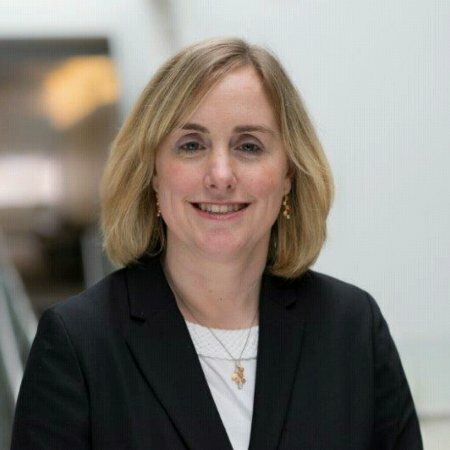 She is the co-lead for the Philadelphia Chapter of Women in ETFs. Liqian Ren is a portfolio manager at Vanguard’ Quantitative Equity Group (QEG), which actively manages 30 billion of Vanguard assets using quantitative financial tools. She received Ph.D./MBA from Booth School of Business at the University of Chicago and held B.S. in Computer Science from Peking University, China. Prior to Vanguard, she worked as an Associate Economist at the Federal Reserve Bank of Chicago. Acknowledgments: QWAFAFEW Greater Philadelphia wishes to thank the Katherine M. and Richard J. Salisbury Jr. ’54 Endowment at Villanova University for helping to finance this event. We also wish to thank WE Philadelphia (The Philadelphia chapter at http://womeninetfs.com; next great meeting, two panel discussions in Center City on Wednesday October 25) for their assistance. QWAFAFEW Investment Society LinkedIn Discussion page. The URL is https://www.linkedin.com/groups/59644. All worldwide chapter events and related events (along with ETF events, SQA events, etc.) are listed on this page along with active discussions and thought-provoking issues are posted on this page. We are also on Twitter (@QWAFAFEW1) and Facebook (search for QWAFAFEW under groups – less frequently updated).